home » science » climate-change » documenting-impacts » UK-scale assessment of the links between changing climate and shifts in the phenology of freshwater, marine and terrestrial organisms. UK-scale assessment of the links between changing climate and shifts in the phenology of freshwater, marine and terrestrial organisms. One of the most obvious way that climate change has affected biodiversity has been through changes in the timing of biological events, such as bird migration or plant flowering. 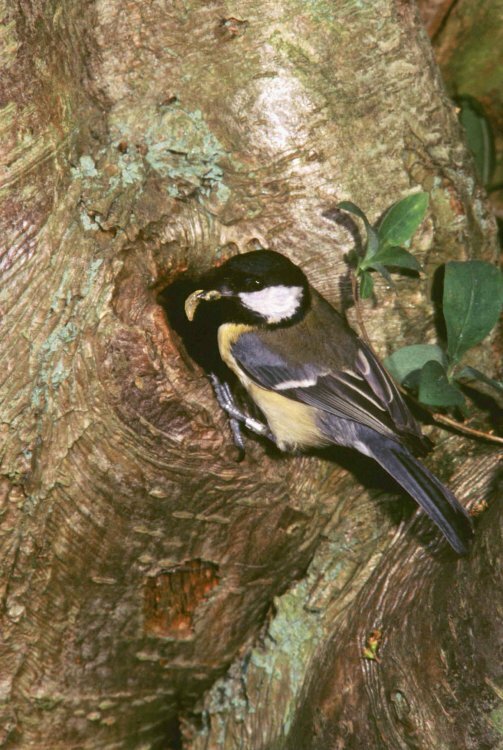 It was BTO nest record data that first alerted people to the fact that birds have started to nest earlier in response to milder spring weather (Crick et al. 1997, Crick & Sparks 1999). These findings were followed up by a comprehensive meta-analysis of changes in the timing of biological events across a range of ecosystems in the UK, which also included updated BTO data (Thackeray et al. 2010). In particular, this work highlighted differences in the phenological responses of organisms at different trophic levels. Thus, on land, plants appeared to have responded more rapidly than insects, which in turn appeared to have responded more quickly than birds. Through time, such differences might be expected to alter ecological interactions between species. As a follow-up to this work, the BTO is involved in a CEH-led project to understand in more detail the causes of these phenological changes, and their consequences. Firstly, we will examine the importance of temperature in causing these changes, and identify the ways in which species’ responses to temperature vary. Secondly, we will identify the habitats and locations where trends between taxonomic groups appear to be most divergent, and therefore where mismatches between species may be most likely to occur. Thirdly, in work led by the BTO, we will test the extent to which such mismatch has a significant impact upon the breeding success of insectivorous birds. Crick, H.Q.P., Dudley, C., Glue, D.E. & Thomson, D.L. (1997) UK birds are laying eggs earlier. Nature, 388, 526. Crick, H. & Sparks, T. (1999) Climate change related to egg-laying trends. Nature, 399, 423 - 424. Thackeray, S.J., Sparks, T.H., Frederiksen, M. et al. (2010) Trophic level asynchrony in rates of phenological change for marine, freshwater and terrestrial environments. Global Change Biology, 16, 3304–3313. This is a collaborative project led by CEH but involving BTO, Isle of Rum Deer Project, Met Office, PTFES, Rothamsted Research, Sea Mammal Research Unit, SAHFOS, St Kilda Soay Sheep Project, Butterfly Conservation, UK Phenology Network and University of Aberdeen habour seal project. Funding for the project comes from NERC.